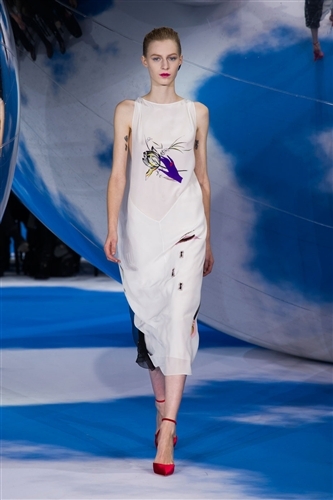 Raf Simons drew on his love of the art world to connect with the roots of Christian Dior in his latest collection. 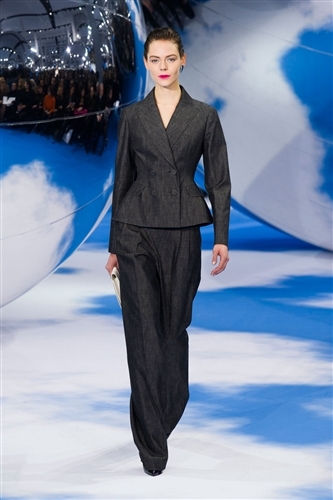 Christian Dior worked in galleries before becoming a fashion designer and Raf used their mutual passion to present a breathtaking show. 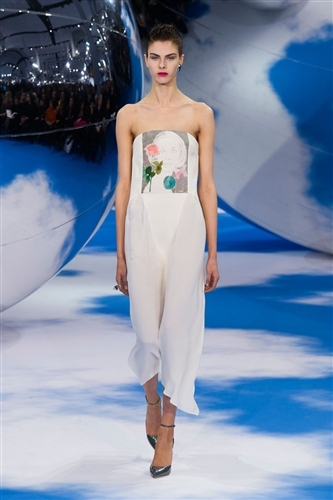 The art theme was most apparent in Raf’s choice of using Andy Warhol’s early drawings as a common graphic. They weren’t the Warhol pictures you would expect to see, they were spindly, delicate images. These pictures appeared on tops, elegant dresses and also embossed onto accessories. Raf applied his masterful touch to some stand out garments this season, for example reinventing the pea coat and turning it into a luxurious cashmere dress. 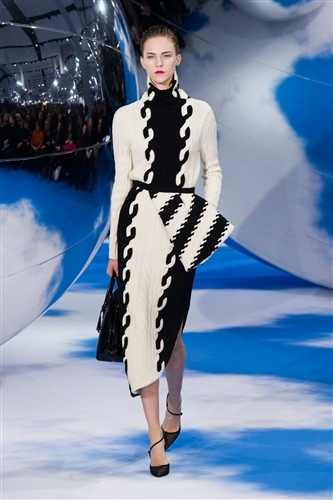 The collection at once paid homage to a great designer and showed how an institution of a house can be brought forward into a new season.